Our attorneys are trained to handle all phases of an insured's defense in any third party liability setting under company appointed counsel arrangements for property and casualty carriers and homeowners insurers. 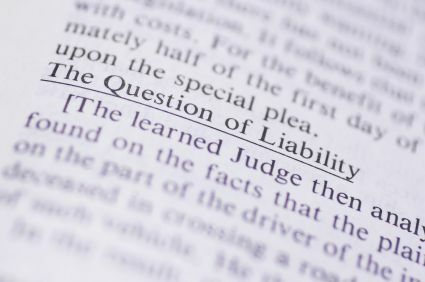 Over the years we have defended insureds in many different situations involving employer/employee commercial auto, industrial worksite injuries and wrongful death, business and homeowners premises accidents, pool drownings, negligent security assaults and homicides, retail store trip and falls, boating and scuba accidents cases, intellectual property and defamation torts, products/completed operations, health care provider suits, construction defect claims, general-subcontractor disputes, beautician/nail technician liability, and product liability actions. Our attorneys have taken many such cases to a defense verdict and have successfully overturned plaintiff recoveries on appeal. We pride ourselves on a close working relationship with those insureds to whom we are assigned to provide needed defense to give them the comfort level and ability to provide needed evidence, as well as to reinforce the insured's satisfaction with their insurance company during the litigation process. All defense assignments are handled in the most cost effective way possible to help the claims examiner properly and timely assess the risk exposure and to develop a suitable litigation plan from start to finish. As a former Claims Manager himself, Mr. Schwartz closely monitors every insurance defense file in the office to assure the special needs and expectations of each insurance company we serve are met without runaway defense expense.